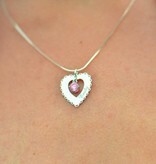 A personal piece of jewellery, this heart shaped silver pendant. 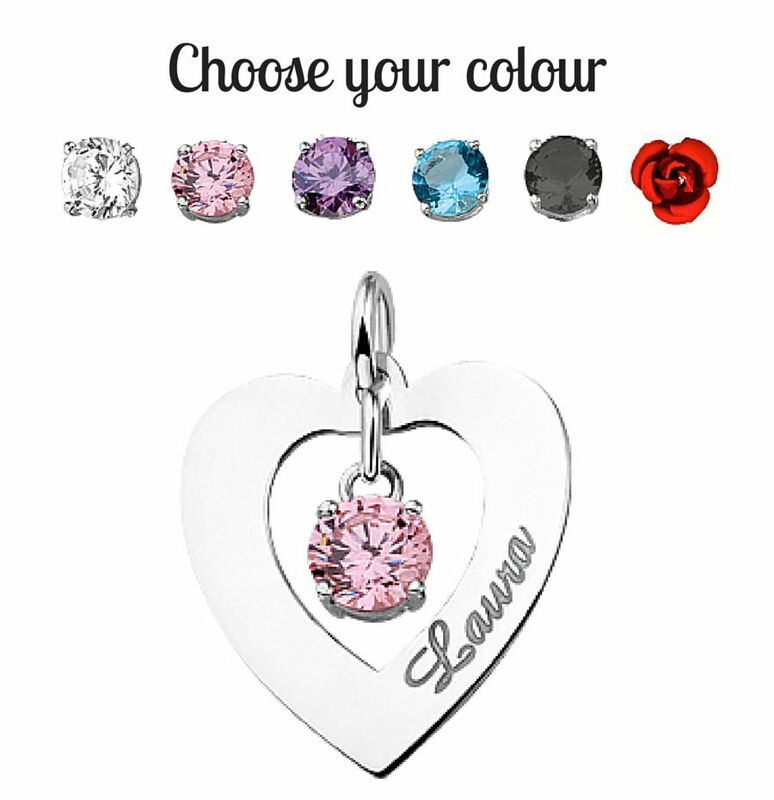 It comes with the name of your choice and a cubic zirconia as an eye-catcher. 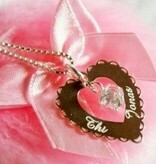 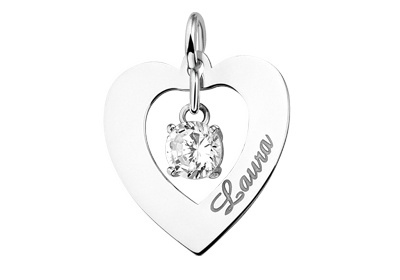 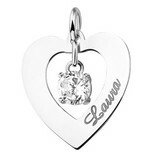 The name of your choice is engraved in elegant letters on the silver pendants. 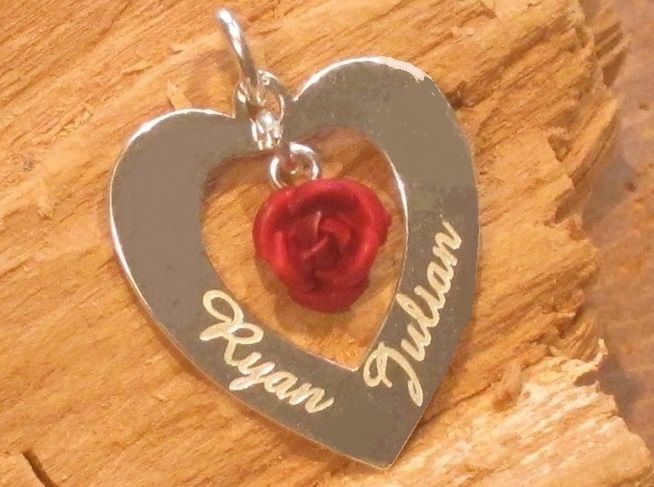 Choose your own name, or the name of your sweetheart, boyfriend or girlfriend, or child. 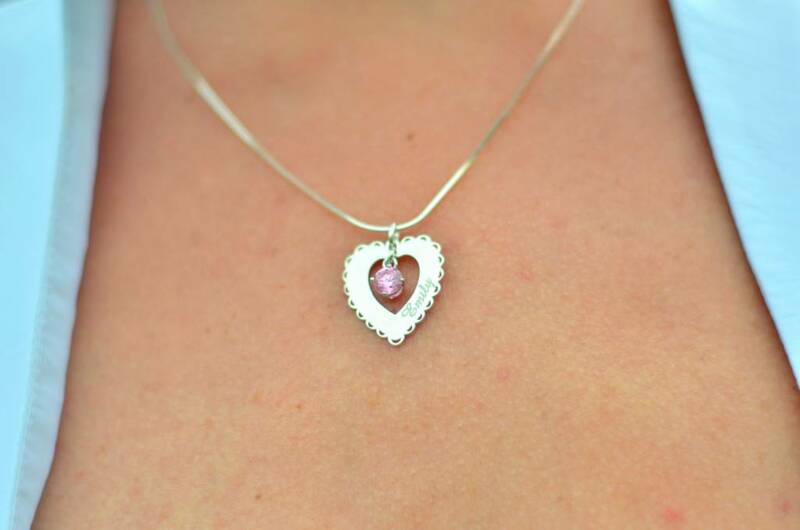 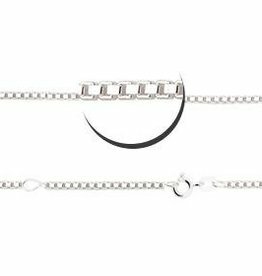 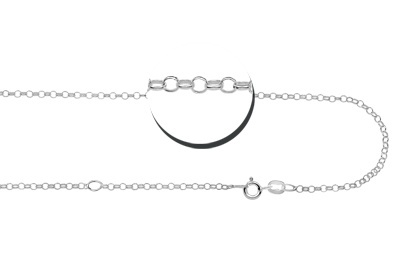 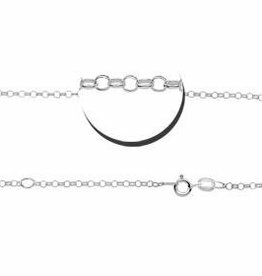 It will look marvellous around your neck, but it will also make a very nice present. 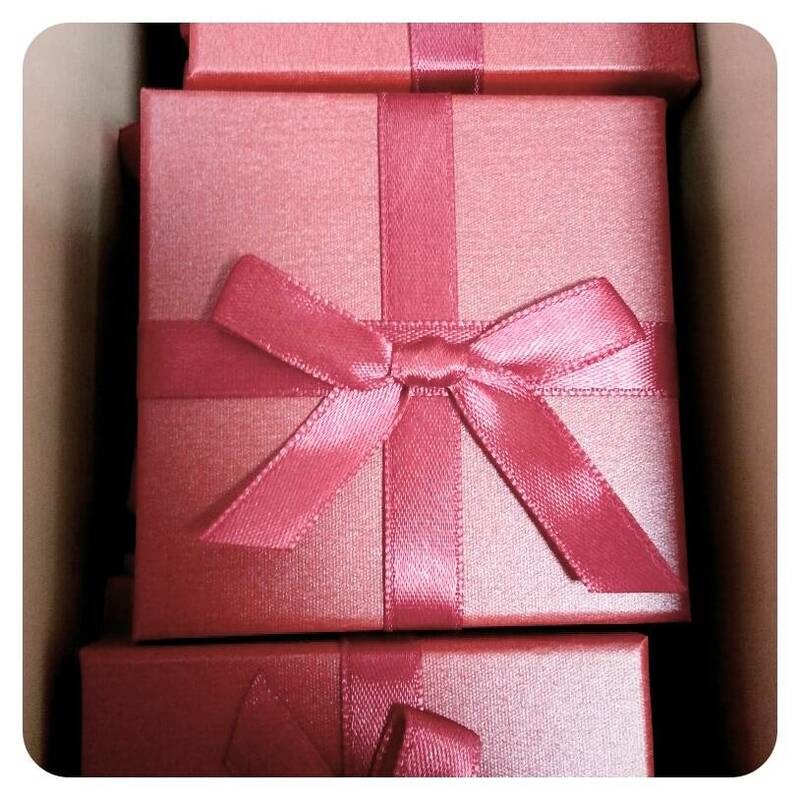 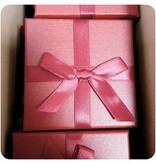 Make it a really personal gift! 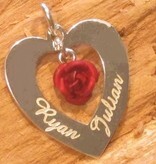 ♥ The pendant is made of real .925 Sterling Silver and is approximately 23 x 20 mm in size. 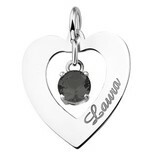 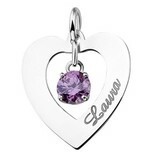 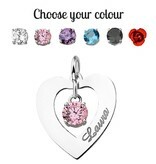 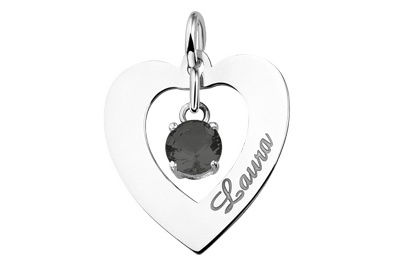 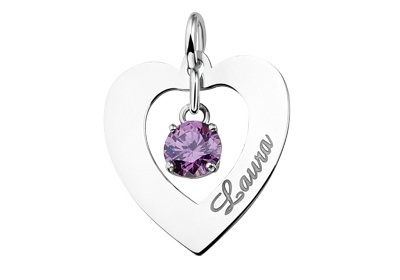 ♥ Choose your colour of cubic zirconia for extra personalisation.